Why don't people like Nickleback.? I think people (perhaps erroneously) associate them with corporate rock, as being a strong example of a product of corporations meant to sell, extremely mainstream with simple lyrics. They see Nickelback as the epitome of "the establishment." Ironically, as laughing at or disliking Nickelback has sort of become "the norm", I take pride in being anti-norm and liking some Nickelback songs a lot. In fact, I'm going to their concert this summer. To me, it's a form of rebellion and anti-establishment at this point in time. Nickelback in concert don't even take themselves too seriously. It's just a party, a lot of laughs, and a few really good songs. My guess is because they are categorized as rock, but are technically more of a pop/rock band, so people don't consider them real music. I really don't know. I enjoy listening to Nickelback. Because it's a trend to hate them. They have generic lyrics and chord progressions. Generic instruments and vocals. They also seem to think they are "rock". Their fan base is also annoying which contributes to people not liking them. I have no idea these people have no idea what real music is. If you need any more explanation then you need to go away and think about your life. Why don't people like nickleback? Why do people like nickleback? I don't understand.? For people who don't like Creed and Nickleback? 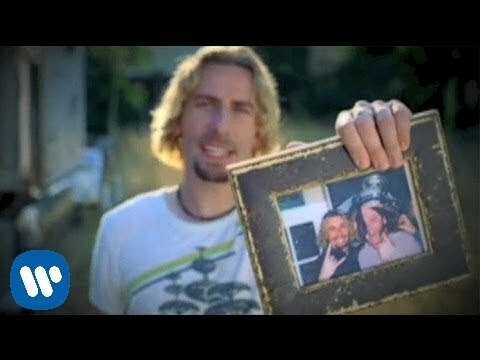 I honestly don't understand why people smash on Nickleback? I just don't understand why people don't like good music... Why?